STOP THIS....PLEASE !!!. STOP THIS....PLEASE !!!. Wallpaper and background images in the Against Animal Cruelty! 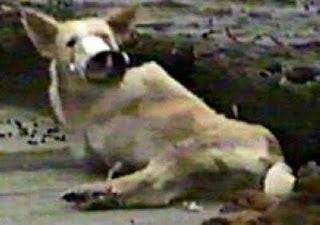 club tagged: animal cruelty poor dogs. What's wrong with these evil people !!!!!!!!!!! I'm lost for words !!!!!!!!!!! They are worse than monsters hun...I always cry when I see this kind of thing ..... Something really needs to be done !!!!!!!!!!!! I couldn't agree more Frances ! It looks like they're gonna fight him or something...poor doggy! how can people so this! the craziest thing is these animals are being abused when they probably didn't even do anything to their owners!!! Why would they even do that? !